Commercial Real Estate Trusted Since 1939. 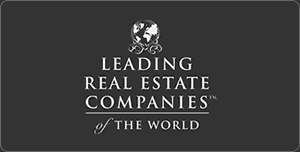 Fickling & Company is the Commercial Real Estate Leader in Middle Georgia and throughout the Southeast. Search Commercial Properties, Land, and Timber Land. Our Commercial Real Estate Professionals are here to help! Fickling Management Services - Commercial Property Management. We can help maximize your investment. Commercial Real Estate Sales & Leasing Throughout the Southeast. Fickling & Company, Inc. has been setting the standards for Real Estate Services in southeastern secondary markets since its founding in 1939 as Fickling & Walker, Inc. Fickling & Company, Inc. is a full-service real estate and development firm headquartered in Macon, GA.
Fickling & Company provides professional commercial real estate consulting to both buyers and sellers, commercial property sales, and commercial property leasing and property management - all under one roof. The Company's heritage includes the development of more than one hundred subdivisions and apartment communities in Middle Georgia, as well as, the countless commercial developments throughout the Southeast. Our licensed Commercial Sales and Leasing Agents are the experts in this industry and combined have over 100 years' experience in the commercial real estate business. Our experienced professionals provide fair, yet profitable valuations of property. They do this by evaluating the market potential within the area. Once a property is listed with us, we utilize all avenues to achieve the desired sales transaction in a timely manner. Consistent prospect reports are provided to keep owners informed of the progress. We offer a transaction team who specialize in different areas in the market including land/timber, retail, office, industrial/warehouse, hospitality, and multi-family. Our commitment to our clients' satisfaction continues to be our highest priority and has labeled Fickling & Company as the company that is "Outperforming the Market." Our goal remains to maximize the value of your real estate property while minimizing your investment of time. Simply put, we facilitate confident decisions and optimal results based upon your strategic objectives. Fickling & Company handles over $80 million in transactions each year, which surpasses all other firms in the market area. Our Commercial Agents combined have over 100 years' experience in the commercial real estate business. Collectively, team members have managed more than 10 million square feet of office and retail space. The Commercial Division has developed more than 100 apartment communities, shopping centers, land development and office parks. The Company's heritage includes the development of more than 100 subdivisions in Middle Georgia, as well as, the countless commercial developments throughout the Southeast. 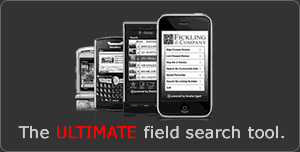 Fickling & Company is a full-service real estate and development firm. Our professionals provide a higher level of skill, dedication and service to our clients; whether you need Office/Retail/Industrial sales and leasing, tenant representation, landlord representation, investment sales, and/or property management. Meet our agents.